Single-sided C40 released on Narcolepsia in 2010 in an edition of 39. The label looks as though it has some stellar releases on the way so you may want to keep an eye on them! 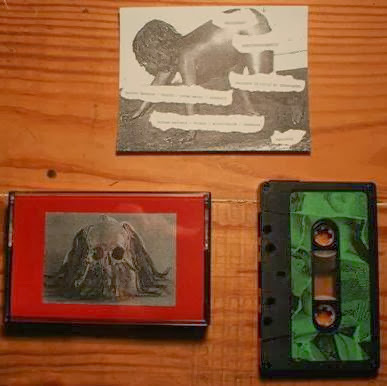 Knullkraft is the work of Gustav Dawkins and Hannes Hellman (aka one half of Concrete Threat). I only know of three Knullkraft‎ releases. Unfortunately, this is the only one that I have ... that is a crying shame!